Novembre 2012 : il festival blues di Lucerna ha festeggiato il suo diciottesimo anno di età con un plateau di artiste degne di un tale avvenimento. Dalla regina di New Orleans Irma Thomas a Barbara Carr passando per Sista Monica. 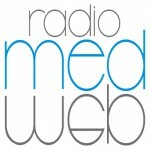 La musica nera declinata al femminile. Presiedeva il Papa dell’armonica, Charlie Musselwhite. Big Time Blues in Luzern, with an outstanding line up of great performers: a fine mix of talented, ambitious young musicians and a bold group of worldwide renowned Blues artists. The first night Charlie Musselwhite opened the floor with a tight combo featuring Matthew Stubbs on guitar. Musselwhite, who was also the main attraction on Saturday night, played a set mostly inspired to country Blues with his usual finesse. The 22 year-old guitar player Marquise Knox, with a new album released not long ago, showed a not yet mature talent with good chances for a quick improvement. The Blues with a capital B made an unprompted intrusion with the Chicago Blues Review in which greats such as John Primer, “The King of the Jungle” Eddie C. Campbell, Elmore James Jr. were going to please the audience with some great music. Campbell offered a stunning version of “All your love” while Primer set the house ablaze with his terrific work on the slide. Beside them, Billy Flynn on guitar, Barrelhouse Chuck on keyboards and the harp-wizard Bob Corritore were coordinating the backing. Bass legend Bob Stroger and Kenny “Bed Eyes” Smith completed the line-up. Singer Barbara Carr is one of the most seasoned female Blues artists around, her experience spans from church singing to Chess records, but she has reached some well-deserved fame only in recent times. Her show was without big peaks but terribly consistent, with a spice of X-rated stories. Friday night started with Sista Monica, a powerful singer backed by a group of gifted musicians like keyboards player Danny Beconcini and Danny Sandoval on sax. Sista’s concert was a real success owing to her passionate singing and joyful personality. Guitar lovers were to be satisfied with two axes from the Lone Star State: Anson Funderburgh and Little Charlie Baty, formerly with Rick Estrin and the Nightcats, dueled on the Texas Blues tracks, marking each one’s respective territory with two opposite guitar styles pleasing the audience. The fact that Irma Thomas has a superstar status in the black music may create some difficulties amongst hard-liner Blues heads like the majority of Luzern Blues festival fans, who need to separate the quality of the music from an apparent coldness that superstars may spread around them. Singing “Simply the best” does not help either. To warm-up the atmosphere, no one could have done better than Guitar Shorty with his explosive guitar solos nested in breathless, rock-solid Blues songs. Guitar Shorty may be accused of being a bit “basic” but his show was thoroughly enjoyable even for the most sophisticated onlooker. Saturday night opening show was Earnest “Guitar” Roy, a Clarksdale’s son, whose musicianship would have deserved a better fate. In spite of having toured with such legends as Albert King and Sam Carr, to a certain extent, “Guitar” Roy remains relatively unknown in the Blues world. His concert in Luzern proved that he may easily been placed among the best Blues performers of this time. Josh Smith is a young guitar slinger with a distinctive guitar style and personality as he leads a group with a fully-fledged horn section: perhaps he wastes too much energy in singing and playing simultaneously, but the final result was definitely good and we are going to hear his name again in the future. 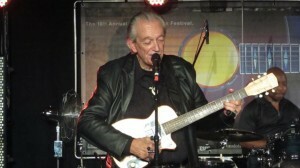 The climax of the festival was dangerously approaching when Charlie Musselwhite came on stage before a fully packed hall: he played a mix of old and more recent songs, like “Blues overtook me” – you could hear many fans trying to steal his second line singing “since I was a little child” – and his authority seemed overwhelming if compared to other artists. Calling him a legend, a virtuoso or a master, will not help people to catch the size of this musician, who has been innovative in the full respect of the tradition. His guitar player, Matthew Stubbs, filled in his duty egregiously. Rosie Ledet closed the festival with a captivating set of zydeco. It should not be forgotten that the Luzern festival has a second stage that starts working at 11 pm with young Blues performers followed by big names that you can also see on the main stage. Therefore, there is little risk that you can miss something; conversely, you can easily see twice artists that you really like.